What do you wish to do post retirement? Take up some social cause? Get back to your home-town and relax? Whatever your dream is, you need to plan for it now. Because once you retire, you will no longer receive a salary/ earn regular income. And to sustain your daily expenses and live your golden years you will need a financial back-up. The only difference in life post retirement is that you continue living, but you might not have a fixed flow of income. And in order to remain independent, you need to save and invest for your future now. And mind you, mere savings in the bank won't be enough. Mainly because of the inflation bug. Inflation is the rise in price of goods and services. And hence the value of your money declines because of inflation. Then, why do you need Retirement Planning? This guide is divided in 3 chapters. Chapter 1: Why Do You Need Retirement Planning? With a structured plan, you are equipped to handle various factors such as surpluses, shortfalls, and emergencies. You understand how quickly or how likely you are to achieve your retirement goals. Additionally, you gain control on your cash flows, your earnings and expenses, and what level of risk you need to be take to achieve all your goals. In short, a retirement plan will let you to develop a comprehensive understanding of your life goals (the ENDS) and also define the path (the MEANS) to achieve it. It is easy to cover your expenses as long as you are earning your monthly salary. But post retirement, you need to have enough money set aside to live the rest of your life and maintain a good lifestyle. All of us have to bear the necessary living expenses even after retirement. Because life moves on and the absence of our monthly income could become a nightmare. Retirement planning is working towards avoiding this nightmare from becoming a reality. Not many people get pensions or gratuities post retirement and even for those who do receive them; the amount is generally not big enough to cover all of their expenses. By planning and building a sizeable retirement corpus, you can ensure that your family's standard of living is not compromised post retirement. As one's age progresses, the number of health issues and emergencies also increase. And as you might be aware, medical expenses bear the potential to create a huge hole in your pocket. In fact, these days even dental treatments can cost you a small fortune. Therefore, your retirement corpus must be large enough to cover your and your family's medical expenditure to avoid a financial crunch in the later years of life. Inflation refers to the rise in the prices of goods and services. It erodes the purchasing power or value of your hard-earned money. You see, there has been constant rise in price of goods and services and it will continue to be on a rise until you reach the retirement age. Without a sound retirement plan, that aims to establish an adequate retirement corpus accounting for inflation, life expectancy, rate of return, and so on; it would be impossible for you to achieve all your retirement goals. Life is quite unpredictable and uncertain. It can sometimes throw us in adverse situations and circumstances which we may not have expected. Some situations have the power to create a financial as well as emotional turmoil in your life such as natural calamities, loss of loved ones, financial difficulties in the life of family members, and so on. Having a significant sized corpus to take care of such contingent events can always come to your rescue. Thus, while you approach retirement, it is imperative that you have a sufficient contingency fund, so that the intermediate period of turbulence and turmoil can be managed better and not hinder your long-term goal of retirement. Hence, it is absolutely essential to have a strong Retirement Plan that will make you aware where you stand today, and what steps you need to take to achieve this goal. It is important to understand why many fail at retirement planning. And one big reason is, they start late. At times, individuals are unable to set aside the requisite amount of money needed for their retirement. They can contribute only a part of it, not all. As a result, they end up postponing their plans. In our view, this is a wrong approach. Instead, the right course of action is to start off with what you have and make up for the deficit at a later stage. On the other hand, if you decide to simply wait for an ‘opportune’ time, it might be too late by the time you start. Another reason for failing to start is that a significant amount of money is often spent on providing for one’s present lifestyle, i.e. shopping and entertainment binges, leaving very little for retirement. While the importance of satisfying present needs cannot be denied, it does make sense to take care of your future as well. Ideally, one must strive to strike a balance between the two. Finally, perhaps, drawing up a strong retirement plan and saving for the eventuality – retirement. Maybe the thought of growing old and leading a rather sedentary lifestyle brings with it a certain degree of discomfort and discourages some from working towards their retirement plan. However, such mindsets need to change. Looking the other way will only worsen the situation. The solution lies in accepting retirement as an eventuality and being adequately prepared for it. Making an early start is your best bet at being prepared! 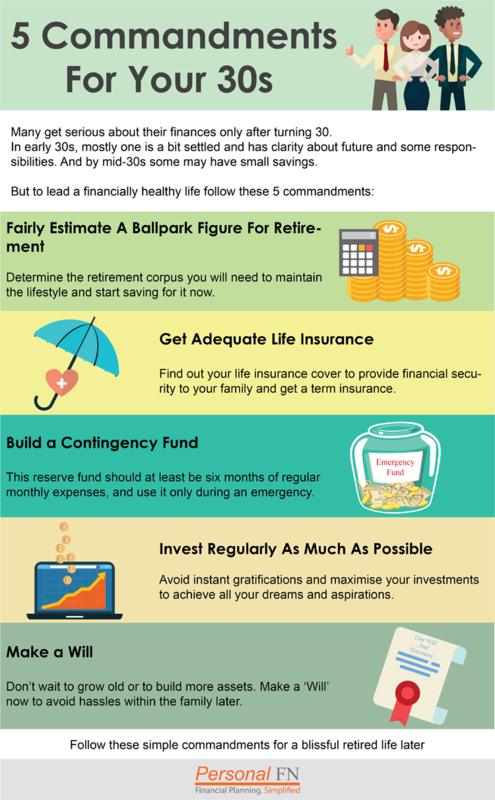 To plan your retirement there are few steps involved. Each step is explained in the next chapter. The most common retirement age is 60 years, but it may vary from person to person. Some may wish to work beyond 60 years of age, while a few even wish to retire at 55 ––basically it's a matter of choice. Estimating your retirement age is an important step, because after this age your regular income stream will stop or at least reduce considerably (in case you are eligible for pension). You will have to depend on your savings and investments to take care of your retirement needs. This is also the timeframe you are left with to plan for retirement. For instance, if you are 25 years old and you wish to retire at the age of 50 years, then years to retirement = 50-25=25years. One of the important factors while deciding your retirement age is the life expectancy rate. In other words the estimated number of years you are expected to live based on the age, medical condition, family history and other demographic factors. These are indicative figures to give a clue as you plan your retirement. For instance, if you are 30-year-old then you may expect to live upto 75 years. And if you wish to retire at 60 years of age then you need to plan for around 15 years of post-retirement life. Like any other goal, start planning your retirement as soon as possible. With several years in hand, you have time and the power of compounding in your favour. Never delay retirement planning or else you might have to compromise your goal. Worst case you might have to be financially dependent on your children or family. Hence, start early, start now. Most individuals who are in their 20s and having recently started earning might think that retirement is a distant reality. For them, planning for retirement at this early age may seem like being overly cautious. However, it is imperative for you to recognise that being young provides you a benefit that is not available to all, 'time'. As it is said, "the early bird gets a bigger pie". Beginning to invest early in life will enable you to accumulate the necessary corpus required on without much stress. And it gives you a peace of mind. And if you are in your 30s and haven't even started planning for retirement, then it is still not very late. You still have many years to work, earn and save for your golden years. But make sure you do it prudently and differentiate between your needs and wants. Retirement corpus is the amount you require post retirement to meet your expenses and continue with the same lifestyle and maybe pursue your other personal goals. For this, first ascertain your annual expenses at present. For that you need to first write down monthly expenses on various categories such as household, medical, entertainment, travel, EMI, and children's school/tuition fees, and so on. So, it is important that you make an accurate estimate of how much amount you will require, to maintain your present lifestyle after you retire. Then factor in inflation to calculate how much your present expenses will amount to at the time of retirement. This is referred to as future value of money. This is the amount you will need every year to meet your post-retirement expenses. For instance, Mr. X is 35, wants to retire at 60, currently spends Rs. 75,000 a month on household and other expenses and spends about Rs. 5 lakhs a year on travel and medical. He assumes household inflation is 7% per year both pre and post retirement, travel, and medical expenses inflate at 10% per year, and he will earn 6% per year on his retirement corpus once it is built and he invests it after his retirement. How much will he need to retire and maintain his current lifestyle? Yes, it is. Your financial planner can handhold you to set your asset allocation based on your risk profile, select appropriate investment avenues within each asset class, help you manage your cashflows with the needed discipline to invest, and regularly review the portfolio to make sure that you are on track to accomplish this vital financial goal. Alternatively, use PersonalFN's Retirement Calculator to help you with this. Remember, if you like the calculator, share it! How much you are able to save every year, after meeting all your expenses, plays a crucial role in building your retirement corpus. Your saving is the surplus amount that is left after deducting your annual expenses from your net salary. The ideal way is, to earmark a portion of your savings towards retirement. This part of your saving should be treated as sacred and should not be disturbed unless it is very urgent. 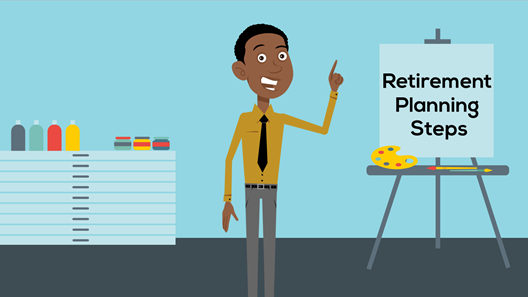 After estimating how much amount you will be able to save annually towards your retirement corpus, the next step is to find out its future value. To determine this, you have to factor in the expected rate of return on your investment. This is the value of your savings or investments at the time of retirement. For instance, if you are able to save Rs 100,000 annually for your retirement, and you invest this amount in an avenue, which earns you 10% rate of return p.a., then after 25 years, you will have a retirement corpus of approximately Rs 9,834,706. 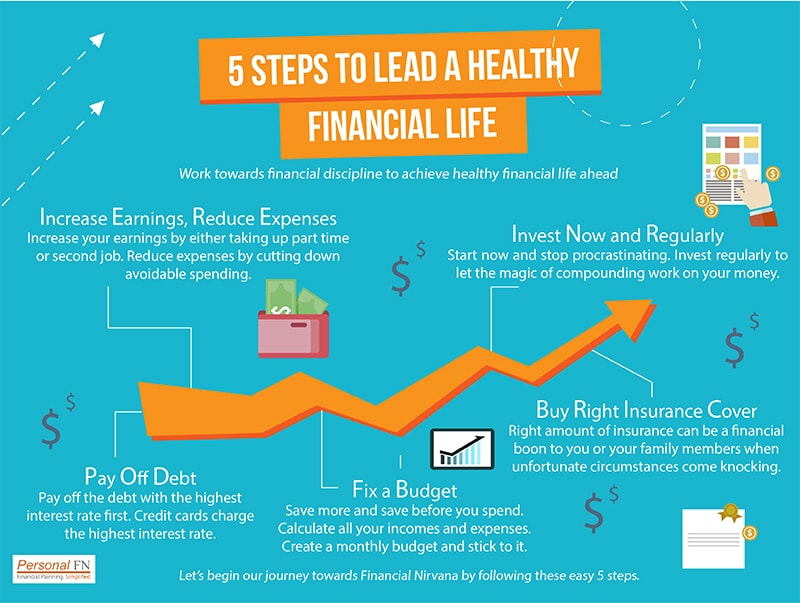 If you are unable to save now to reach the target, cut down on avoidable expenses. Some of the avoidable expenses are your weekly entertainment, impulsive purchases, dining out, foreign vacation, etc. Depending on your current age and the risk that you can afford to take, you should define a standard allocation to each asset class. It is important to have a diversified investment portfolio across the asset classes. Some assets like equities have the ability to offer you a better inflation-adjusted return (also known as real rate of return) than fixed income instrument can provide safety. Gold can be a store of value and act as an insurance in your portfolio. If you see a swift rally in any of the asset class, and the deviation in your asset allocation, you can timely rebalance by reaping the benefits from the respective asset class and moving it to other asset classes. Do not forget, every asset class may not be suitable for you. At the same time, you should not be over exposed to a single asset class. 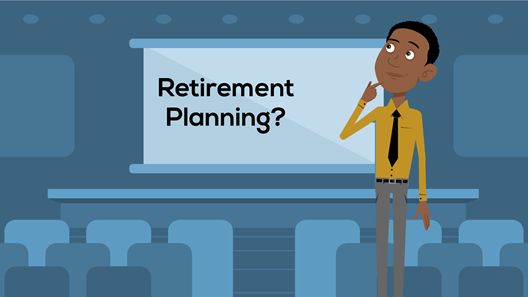 As retirement planning is an exhaustive exercise, seeking help of financial planner can go a long way. But take care to opt for an independent, honest, unbiased, and a competent financial planner who will handhold in every step to plan your retirement. Your financial planner should be able to come up with a relatively accurate retirement corpus, which can help you negotiate retirement. More importantly, he/she should conduct risk profiling, whereby the asset allocation can be set and the portfolio can be structure accordingly to achieve your retirement corpus. Your retirement plan needs to be monitored at regular intervals (at least once a year) to make sure you are on target to meet your objectives. Any changes in the income, expenses, retirement age, etc. needs to be incorporated in the retirement plan. Also, make sure the retirement plan meets your investment objectives in the changing market scenario. 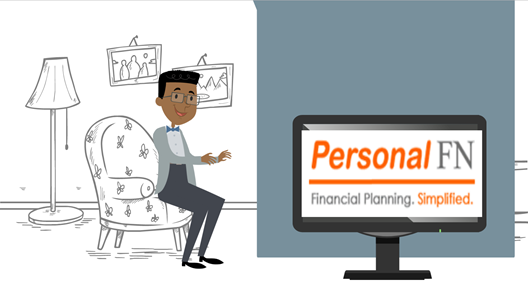 We at PersonalFN follow an in-depth understanding of our client's financials, their needs and requirements, and draw up a customised Retirement Plan. 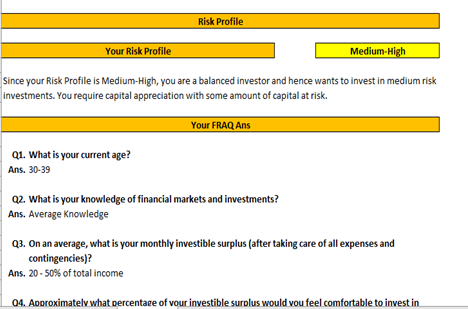 On the basis of some assumptions, an ideal asset allocation is defined. Remember that, in the process of determining your retirement corpus, you have to make few crucial assumptions such as rate of inflation or rate of return on your investments. These factors are not fixed and are bound to fluctuate over time, thus impacting your calculation. Besides, aspects such as your yearly savings and expenditure is also subject to fluctuations. With an increase in your salary, your saving and spending capacity also increases. For this reason, you must regularly review your calculations to ensure that you are always on track to achieve your retirement corpus. Next is to list down and analyze their existing investments, savings, and cashflows. We then assess the past performance of these investments and assess its portfolio concentration. We provide our own view and recommendation to your portfolio. We further analyze your insurance needs. At PersonalFN, we always recommend that investors to opt for a pure Term Insurance Plan and to keep insurance and investment needs separate. To calculate how much your optimal life insurance should be, we follow Human Life Value (HLV) approach. Try our HLV calculator here. The first step towards calculation of HLV would be to determine the person's net annual income after deducting the amount spent on personal items. This amount will be the amount that he affords for his family annually. Each year, with inflation, the family's expenses would proportionately increase, which must also be taken into account. The calculation will also include specific goal related expenditure. Furthermore, assuming Mr. Sinha has a son and a daughter, both of whom would require Rs 10 lakhs for their education i.e. a total of Rs 20 lakhs. In Mr. Sinha's absence, this amount is still required such that the children's education do not suffer. Hence this goal amount can be added to the financial value of Mr. Sinha's life. A retirement plan is thus created. We take into consideration all your needs, goals, current financial status, and depending upon your risk tolerance, we create a customized retirement plan for you. What will be the cost of my expenses in future? Can I generate cash inflows during my retirement? What do I desire to do during my retirement? These questions can help you get started with. But if you seeking professional guidance, then do not hesitate to get in touch with PersonalFN. PersonalFN is a SEBI registered investment advisor. Schedule a Call with PersonalFN's investment consultant or drop a mail at info@personalfn.com and we will get in touch with you. You may also call us on 022-61361200.